Eden Court are delighted to be able to announce their full cast for this year’s gigantic family pantomime Jack and the Beanstalk. Once again Steven Wren will be both directing and starring in the show as Dame Trot as well as being the lead scriptwriter. 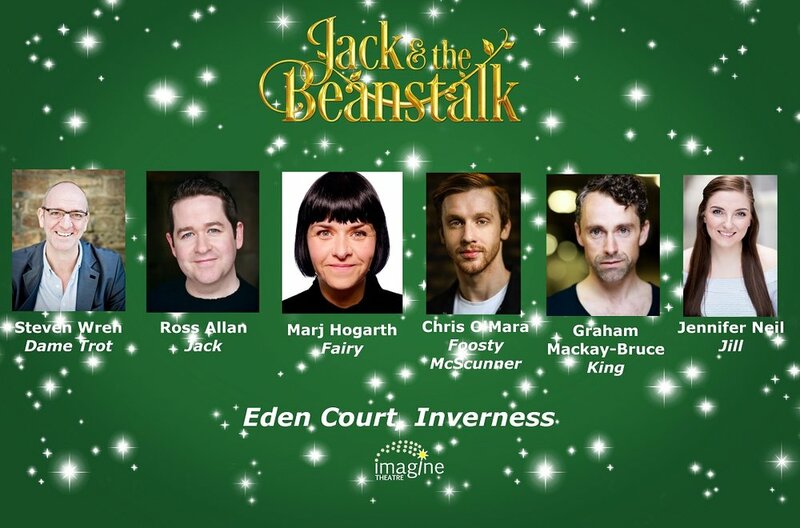 The hilarious Ross Allan returns to play Jack with Marj Hogarth as the Fairy and joining the team this year are Chris O’Mara as the villainous Foosty McScunner, Graham MacKay-Bruce as the King and Jennifer Neil as Jill. Jack and the Beanstalk runs from Tuesday 4 Dec until Sunday 6 January 2018. For more information or to book tickets call the Eden Court box office on 01463 234234 or visit the website.